Lately, I have come across lots of fun projects that utilize interviews. Many are the more traditional oral history style projects, but some use the interview model as a way for students to apply content knowledge and demonstrate understanding. While there's lots of conversations around about engaging today's digital learners, the solution isn't simply to use technology. I don't think anyone will agree that playing Cow Clicker is the best use of our limited classroom time. 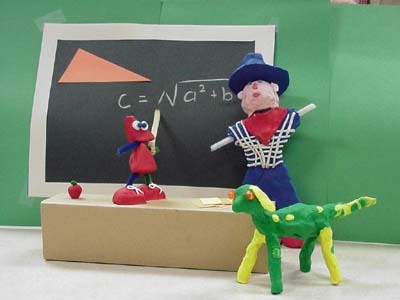 I have recently been revisiting the joys of claymation as I have been writing a Making Claymation in the Classroom eBook.